Hungarian jazz/world fusion band Djabe is on tour one again, with Steve Hackett, guitarist from the legendary Genesis, and Gulli Briem, drummer from Mezzoforte. Djabe, the No.1. jazz/world fusion band of Hungary, toured and performed in 42 countries since founded 22 years ago, honored by numerous national and international awards along the way. 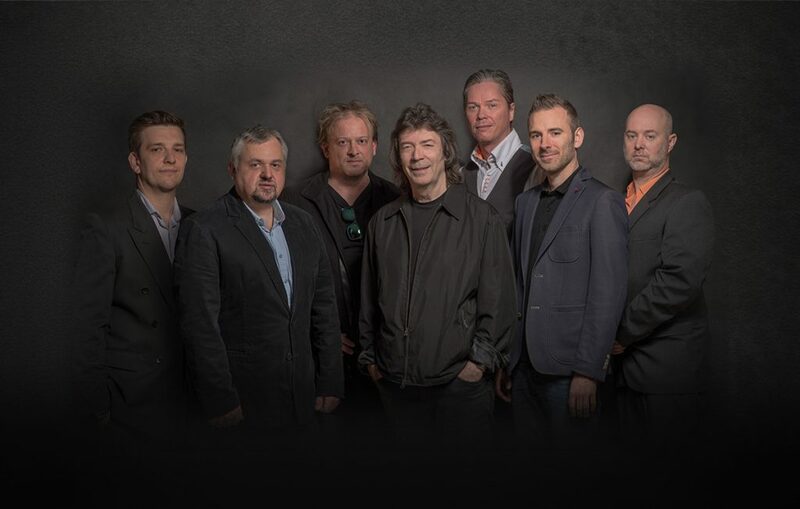 All the famed international stars they performed with rises Steve Hackett, guitarist for Genesis, whom with the band looks back at a musical cooperation of 15 years. Steve first performed with Djabe on the album Sheafs Are Dancing, then carried on with the cooperation by giving their first joint concert at London, in 2004. Since 2007, every year Steve and Djabe perform a few shows jointly somewhere in the world. Memorable gigs were in locations like Malaysia, Bosnia, Austria, Sloavenia, the Netherlands, Latvia, Croatia, Slovakia, Serbia, Bulgaria, Russia and, naturally, Hungary. In Romania, at the Garana Jazz Festival, an audience of 13 000 went wild on their awesome show. Steve Hackett, acquiring his fame with the Genesis, made iconic by Peter Gabriel and Phil Collins, sold hundreds of millions of records and performed on the most acclaimed stages of the world. Although Djabe rose to fame as the number one Hungarian World Music band, their performance with Steve Hackett largely overlaps the genre’s boundaries, leaping into the world of progressive rock. Hence, these two parties play Genesis, Steve Hackett and Djabe compositions evenly. Firth of Fifth from Genesis of the Peter Gabriel times, or Los Endos of the band’s Phil Collis era marks the peaks of these concerts. Meanwhile, Steve feels right at home with Djabe’s compositions. The musicians co-starred on each other’s’ albums plenty of times, while releasing many together. Latest of their joint concert album just released February 15, 2018, enitled Djabe with Steve Hackett and Gulli Briem – It’s Never The Same Twice . The CD+DVD were recorded during the Central European tour of last year. During 2017 two joint albums were released by England-based record company Cherry Red Records, at the Esoteric Antenna label. The first entitled Steve Hackett & Djabe: Summer Storms and Rocking Rivers. An elegant digipak, containing a CD and DVD, this release offers a complex listening experience of Hackett’s and Djabe’s 2011 gig in Bratislava, Slovakia. Cherry Red Records top sale list of 2017, describing a portfolio of hundreds of releases from renowned musicians features this album in its 2nd position. In 2016 Steve, Gulli and Djabe members did some studio recordings on the island of Sardinia. The album born from this material, also was released by Cherry Red Records. Both critics and audience celebrated this unique album with great enthusiasm. Although only released on the 24th of October, Life Is a Journey – The Sardinia Tapes made 5th position on the company’s 2017 top sale list. This tour of 2018 will include 4 countries, introducing Life Is a Journey and It Is Never The Same Twice live. During this tour of peculiar musical experience, comes along another world-renown musician, the drummer of the legendary band Mezzoforte, Gulli Briem. Gulli first met with Djabe, and Steve Hackett, at the Saulkrasti festival in Latvia, in 2008. However, their musical cooperation only begin in 2012, with playing Genesis songs together on the Budapest premiere of Djabe’s album Down And Up. Since that premiere, Gulli frequently joined the band, both on tours and recordings, locally or abroad. In 2014, he joined the Hackett-Djabe tour of Central Europe. These concerts, released in 2015 titled Live in Blue on vinyl, CD, DVD and Blu-ray, under the name Djabe with Steve Hackett, Gulli Briem and John Nugent.